Xiaomi Mijia 1080P FHD Smart IP Camera is a white 1080P wireless security camera. Features include a 130 degree wide angle, built in mic and speaker, night vision, motion detection and a micro SD slot. The first thing I noticed about the box and packaging is not one word was in English. Even though everything on the box and instruction manual was in Chinese, it was still packaged well. The box comes with the camera, power adapter and instructions. Setup of the Mijia appeared challenging considering the language barrier, so I found something that was helpful. On the last page of the instruction manual was a barcode. I pointed my iPhone’s camera to the barcode and it went to the App Store to download an App called Mi Home. Once I opened the app, it started to walk me through the setup process in English. There is a plus sign to add the camera on the top of the app and once you do, it will walk you through it. I got stuck once because one step is to scan the product barcode. 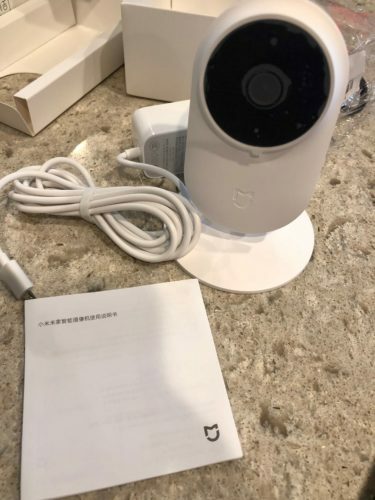 After trying to scan the barcode from my phone to the security camera, I finally figured out that you need to point the Mijia 1080P FHD Smart IP Camera at the phone which has the barcode on it at that step. Also, during the process of adding the camera, the camera talks to you while it’s pairing. It speaks in Chinese, so I figured out that she is saying that the blinking yellow lights are bad and the solid blue light is good. 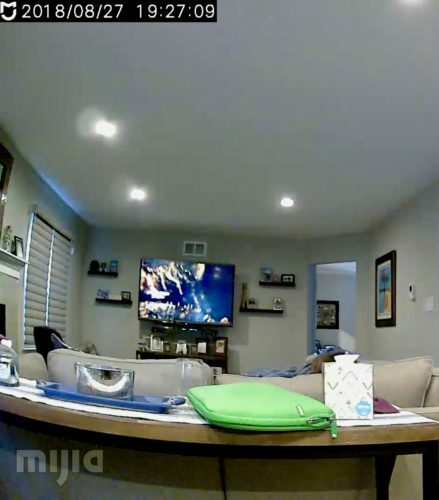 Once the Mijia camera was paired, I was greeted with some bad news. When I press the camera on the screen I received an error saying Failed to Initialize Device. After a little Internet searching I found a post from 2007 saying someone had the same issue with iOS and the fix was to remove the camera, change your region from USA to Mainland China and then add back the device. This worked, however the app starts to go into a half English, half Chinese mode. Luckily it is English enough to navigate around the app. The first test was the most important one: the quality of the video. The day and night video was pretty good, not super, but good enough for the price of this camera. The app does a lot of things including creating a setting to record video when motion occurs, manual recording, using the phone to listen and talk to the camera and event based rules. The recordings go to the micro SD card. There is an option to save to Xiaomi’s cloud however pricing and privacy may not be optimal. This is the part where I remind you that this camera is $29. There is no smart home integration, and the setup takes a little more work than some of the more expensive cameras but if you are looking to view recordings of a security camera from your iPhone for cheap then this is a good option. 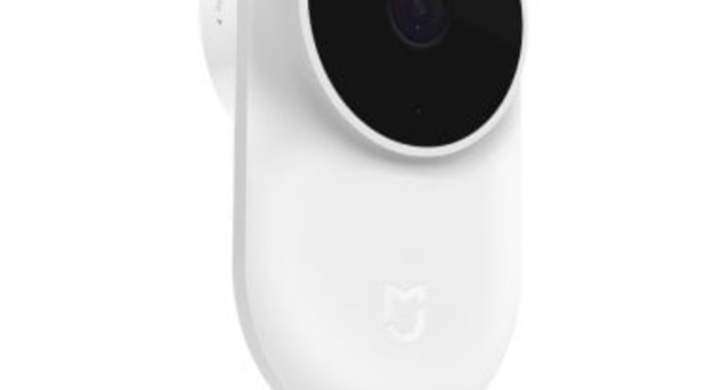 The quality is good enough for surveillance and the Mijia 1080P FHD Smart IP Camera is small and can be connected using any micro USB power source. MyMac Review Rating is 7 out of 10. Decent video quality and basic functions allow it to record motion to a micro SD card. Some bugs in the app’s lack of save locations take away from some of the attractiveness of the price tag, as do the language and connection issues for non-techies.